When refurbishing an old spa, you must first decide if it just needs a facelift or a complete mechanical and/or electrical overhaul. If your spa is in decent working order, then you probably only need to rebuild elements to give it more aesthetic value and/or update components like jets and seats to make your soak more relaxing and comfortable. An old spa with major mechanical issues, however, needs professional assistance before you tackle aesthetics. You can’t bring an old spa back to life without power. You could have issues with circuit breakers or fuses or the GFCI (Ground Fault Circuit Interrupter) may trip frequently or not stay set. If your spa doesn’t run, heat or pump, then it’s likely you have one or more problems with the electrical and mechanical systems. Electrical work and repairs are dangerous, especially around water where there’s an increased risk of electrocution. Not only is it safer to hire a licensed electrician to complete your electric wiring tasks, it’s also required by law in Washington. If you don’t have any electrical issues that keeps your spa from running, it could be a problem with one of the major components of your mechanical system. Often called a Spa Pack, these components include the controller, motor, blower, pump and heater. Problems with a heater that won’t heat is commonly caused by dirty filters. However, an even more common problem in spas that have sat idle are broken pumps or ones that stop working properly. Pump malfunctions could prevent the motor from turning, which may result in a humming noise. A whining noise could indicate badly worn bearings. A puddle of water below the pump is a good sign the seals have failed. Depending on the pump and the price tag, you may replace the entire pump or just the motor. 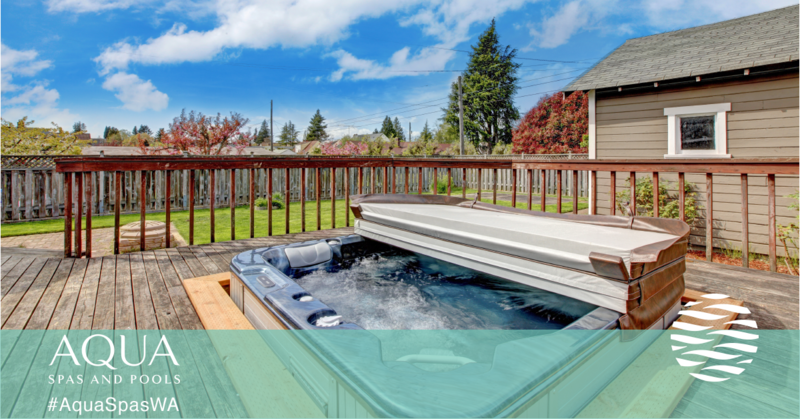 A leaking hot tub isn’t just annoying, it could cause a serious health risk due to electrocution. To try to find leaks yourself, look for cracks in the shell, leaking pump seals, loose union fittings, deteriorated gaskets between valves and failing gaskets or loose connections around jets. If your visual inspection doesn’t turn up any leaks, call a spa technician who specializes in leak location and repair and replumbing damaged pipes. There are many areas you can add aesthetic value or simply make your old spa function better. Even if you’re not a DIY aficionado, making an old spa look new again is one area you can tackle yourself, but it also never hurts to opt for professional assistance. This could include repairing your spa’s outside frame or cabinet, which is usually made of wood or plastic. If your cabinet is extremely deteriorated, there’s a chance the inner shell is also broken. Replacing the spa may be the best option if this is the case. However, minor cabinet damage is often repairable by replacing boards or contacting an experienced carpenter. You may also be able to repair minor damage or small cracks in your spa shell with spa shell repair kit. These and other cosmetic repairs can restore your old spa to its former glory. Then, replace worn out jets and thoroughly clean or replace moldy seats, so your spa functions like new again. Aqua Spas & Pools’ licensed repair staff includes APSP (Association of Pool & Spa Professionals) Certified Technicians and licensed electricians. Our experienced technicians can run diagnostics to find problems in your old spa, no matter the make or model. We can also replace Blowers, Circuit Boards, Control Systems, Heat Elements, Heaters, Jets, Lights, Pumps, Pump Seals, Switches and much more. Contact Aqua Spas & Pools’ top technicians today and let us help you get your old spa up and running again.